Shack Shine's exterior house cleaning service in Toronto clean's homes that's deep-down clean on the outside. Our team provides comprehensive house detailing including most exterior surfaces and we do it all in one detailed visit. Our Shack Shine friendly, uniformed technicians, arrive in shiny, organized vans and are ready to go when you call us. We make it easy for you to get the exterior house cleaning services you need in Toronto. To do this, we have an easy online booking system and world-class sales center. Give us a call or book online to get just the services you need. Our rates are upfront, honest, and competitive. We’ll provide you with before and after pictures so you can see you’ve invested wisely in your home. A key Toronto house detailing service we provide is interior and exterior window cleaning. We clean them by hand along with using a specially designed squeegee and water-fed pole for filtered rinsing. We even tackle those hard-to-clean windows. Like a ray of sunshine on a cloudy day, you’ll love the work the Shack Shine team can provide for your windows. It’s downright beautiful, and you’ll love every detail of the work we do for you. 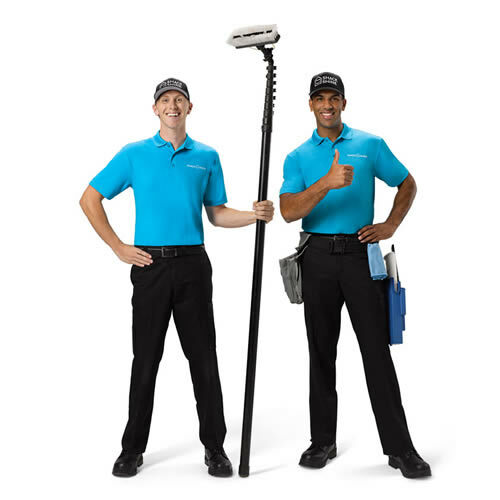 Keeping the eavestrough clean is dirty work, and the team at Shack Shine does it well. When you meet our skilled technicians, you’ll know you’re in good hands. Our professionals use the latest technology, including high-powered vacuums to safely and effectively remove debris from the area. We flush it clean, creating the ability for water to flow easily. This helps protect your foundation, the home’s exterior, and your roofing system. Shack Shine’s technicians provide gutter cleaning to help prevent the early deterioration of the exterior. Our goal here is to remove debris and grime that’s caked in after years of sun and weather. This is important for protecting the exterior and ensuring the very best shine. Positively shiny is always our goal. To achieve this, we use water-fed poles and light pressure to help remove all of that unwanted debris. We hand scrub your home to ensure the very best results without any risk of damage. Power washing is an effective way to clean most of the horizontal surfaces on the exterior of your home. This method safely removes years of grime without the use of harsh chemicals. You don’t have to worry about your landscaping either. And, if there’s a need to move furnishings, we’ll move them and replace them before we leave. Pressure washing is another method we use for exterior house cleaning in Toronto. This method allows us to wash the exterior brick, concrete, siding, and other surfaces outside. By doing this, we can create a like-new look without the use of harsh chemicals. You’ll find that our pressure washing is a fantastic way to brighten up your concrete driveway or patio. You’ll love spending more time outdoors again. Shining your neighbourhood, one home at a time starts with these advanced pressure washing techniques. Our roofing cleaning service in Toronto is highly thorough. The roof is one of the most common areas to see moss and mildew growth. Over time, debris from the water pounds the roofing tiles or shingles. Our goal is to cleanse this away in a very safe and efficient way. We don’t apply too much pressure that would otherwise damage the roof, but we do use the best technology available to ensure a quality clean. Your home will love you. Get your home holiday-ready with custom Christmas lights. You no longer have to get climb on a ladder to hang your Christmas lights in the snow. You can sit back and relax and watch your house light up. We offer high quality, energy efficient, commercial grade Christmas lights. Our Shack Shine technicians have the experience and equipment to install your custom Christmas Lights. At the end of the season, we’ll even come and take down the Christmas lights and have them neatly packed away for easy installation next year. Hi, my name is Myles Reville. I am from Muskoka Ontario and studied at the University of Guelph. In Muskoka I coached sailing at South Muskoka Sailing School. Being head race coach then Head Instructor, sailing school was my first taste of leadership and responsibility. My first entrepreneurial endeavour was in second year University, when I launched my first of three College Pro Paining franchises. College Pro was my own MBA and infected me with the entrepreneurial bug then Shack Shine answered my quarter life crisis. I leaped at the opportunity with Shack Shine and O2E Brands The systems and support structure are second to none! I am very excited to help the brand with its growth and expansion. 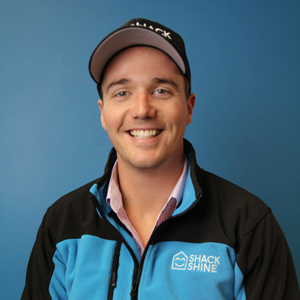 Shack Shine Toronto is here to bring a phenomenal brand and service to the people of my community, and I could not be happier. We are building something special here in Toronto, hope you can be apart of it!